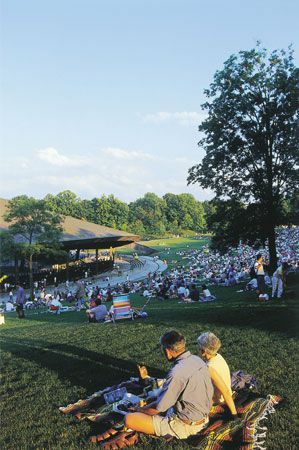 Blossom Music Center, located in Cuyahoga Falls Ohio, halfway between Cleveland and Akron, is the summer home of the Cleveland Orchestra as well as a scenic venue for all sorts of summer music concerts. Concert-goers can sit on the lawn or spring for a pavilion seat. Blossom is known for its spectacular July 4th concerts. Below is the 2016 Schedule: More events will be added as they are announced. For information about holiday lights at Blossom, click here. 1145 W. Steels Corner Rd.